India witnessed a proliferation of trading venues post-2008 recession as the prospect of an open and competitive marketplace for financial trading created an arms race among technology firms and brokers to create the next MCX success story. However, after government reforms last year and an overall weakness in global financial markets’ activity, India’s Universal Commodity Exchange (UCX), succumbs to its fate, and suspends trading. The move follows on from controversy in India’s fragmented trading environment which has seen its fair share of scams and scandals with trading venues. The commodity exchange, which was formed with the backing of FinTech veteran Ketan Shah of Commex Technology, halted operations this week. According to a note on its website, it informed users and members of the change in practise. 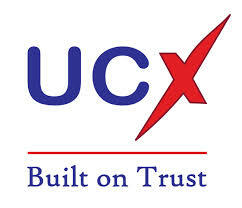 With effect from the 16th of July, the UCX has stopped trading in all financial instruments. India’s once thriving listed commodity market was competing with the likes of CME and TOCOM in a number of contracts, including the benchmark MCX Gold futures. Operators viewed the success of MCX as a framework to establish a new means of establishing venues in the 1.2 billion populated country. Stop trading in all contracts where open interest is zero, with immediate effect i.e. from close of trading hours on 16th July, 2014. All the contracts with open interest as on 16t July, 2014 shall be put on square off mode and trading thereon shall be suspended immediately as soon as open interest becomes zero. No new contracts shall be approved for trading and not to launch any fresh contract without the approval of the Forward Markets Commission. Jeyakumar AS, Company Secretary & Chief Compliance Officer advises members on the next steps in a company statement on its website: “The members may please note that the Exchange will de-hire all its warehouses with immediate effect. Members having stocks in any of the Exchange accredited warehouses are requested to lift the goods within 10 days from the date of this circular unless they wish to deliver against their open position failing which they have to bear monthly commitment fees paid by the Exchange to the concerned warehouse. Commodity products play a crucial role in India’s vast economy. India is a consumer and producer of a number of commodities, the derivatives exchanges support hedging and risk management capabilities for users across the value chain. A number of broker and technology led exchanges were set up, Reliance’s Indian Commodity Exchange and Kotak’s ACE India. Of the five major commodity exchanges, UCX posts some of the lowest volumes, average daily trading volumes across all contracts is less than $20 million. On the other hand, MCX, the most liquid exchange, posts daily volumes in excess of $3 billion across all its contracts, with the bulk of activity in its metals contracts. 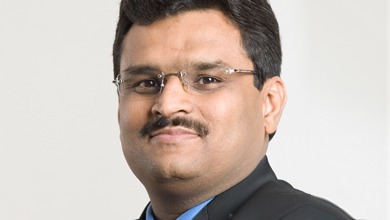 The latest setback follows on from the ongoing scandal involving one of India’s internationally acclaimed ‘gurus’ of financial trading, Jignesh Shah. The entrepreneur was arrested after one of the exchange’s in his group profile was suspended on irregular activity. So which indian commodity/stock exchanges are still standing in good health? jon, which ones the word over are in good health? Everything you see on any stock exchange is false as it is based upon QE. Jon, Raj is right, BSE is taking a lot of MCX’s share, however NCDEX the main comms exchange is benefiting from the mishap with MCX. The Indian equity market is expected to reach record highs under the first year of the new government, after month 13 the novelty will banish!